It’s officially been a month since we’ve moved into our new house. I’m sure you’ve been there before so you’ll understand just how mega stressful and mega exciting it’s been. Boxing things up, moving things, taking a moment to soak in the new home and smile. 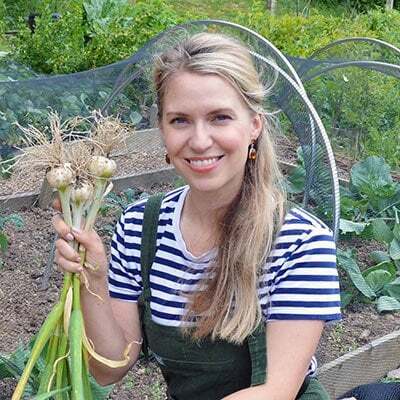 I’ve been detailing the move, house redecorating, and the new garden on YouTube if you fancy seeing what it’s all about. The house is small and the inside is almost finished so my attention is turning to the garden. I have so many plans for it! Fragrant roses, an edible hedge, and lots vegetables. 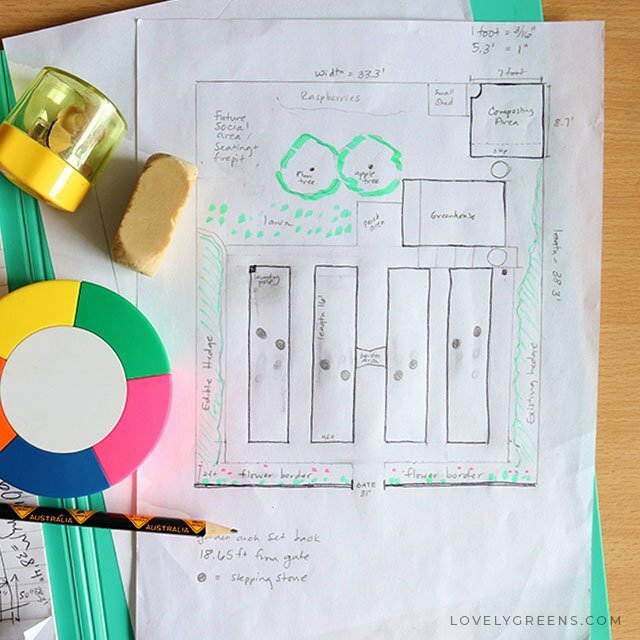 I want to design it properly though so the first step is drawing a simple garden plan. 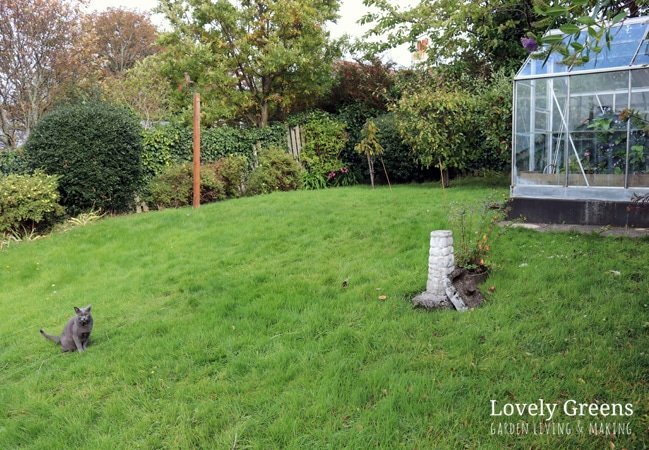 The back garden is currently a grassy lawn, evergreen shrubs, a greenhouse, and some beautiful little fruit trees. It sounds like a lot already but to a veggie gardener like me it’s a blank slate. I’ve been dreaming about what will be growing there and have already jumped the gun and purchased a new garden arch. I’d planned to put it in last weekend but then realized that I wasn’t quite sure where I should place it. I’d not yet figured out where my garden beds were going. I also realized that I had no idea how big the garden was or how many four foot wide beds I could get in it. Never mind everything else. I needed to take measurements and draw everything out to help me design my new garden. I need a to-scale garden plan in order to plan out the sizes and placement of raised beds, the arbor, and new plants. Without one and garden planning is just guess work. 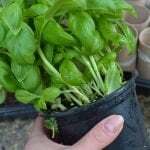 Creating a to-scale garden plan begins with measuring everything in the garden. The lengths, widths, diagonals, and distances between certain objects. If you have access to an open reel measuring tape this will be easy. I didn’t and used an ordinary measuring tape but think it worked fine. As far as units are concerned I chose to use feet. However, if most of your available landscaping materials are in metres then you might want to use metric. I roughly sketched out the garden and the measurements on a pad of paper — it took about half an hour in total. Looking at it afterwards it was clear that my initial mental model of its size was all wrong. Seeing the numbers put it into prospective. Professional landscapers create beautiful garden plans to present to clients. They’re often illustrated with specific plants and trees and use a 1:50 scale. I’m not selling to anyone other than myself so a simple garden plan is all I need. I figure that many home gardeners would feel the same. 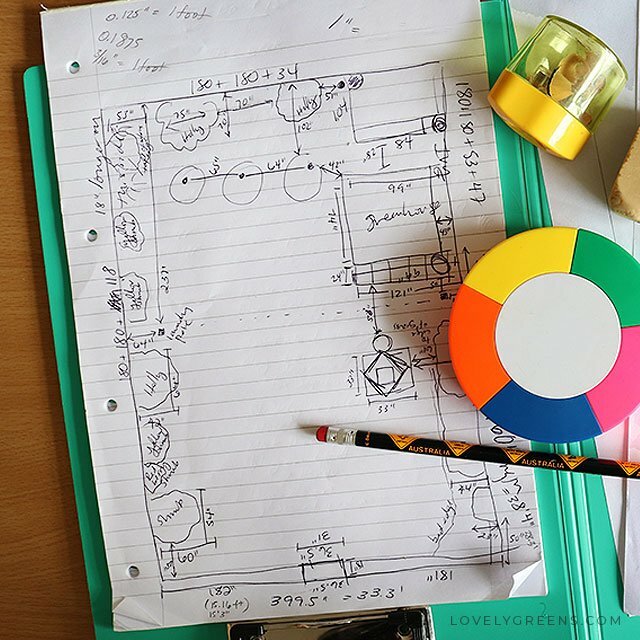 Landscapers would using a drafting table to do their designing. I have a kitchen table and ordinary printer paper to draw on. That meant that the scale I used was going to be dependent on how much I could fit on the sheet. I took the width of my garden, just over 33 feet, and found that I could fit it on the paper using 3/16″ to represent every foot. I’m terrible with math so it was trial and error with working it out on my ruler. Using my basic math ability I worked out that 1 inch in real life would equate to 5.33 feet or 64 inches. That makes my to-scale drawing 1:64. Meaning that my drawing is 64 times smaller than my garden truly is. You can choose whatever scale best fits your paper and needs. After I’d created an outline I filled in the permanent structures such as the gate, greenhouse, and trees. Shrubs I plan to remove are absent from my final plan. All I used were simple art tools such as a ruler, pencil, eraser, and some colored pens. You can see my thought process and designing in the video above. 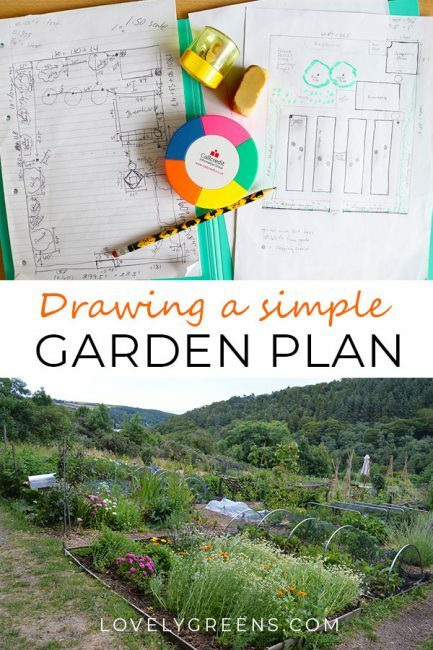 Drawing a simple garden plan was a huge help in creating an accurate vegetable garden design. 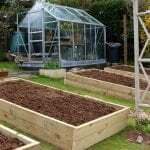 I could see that four long beds could fit, that there was plenty of space for a shed at the back, and where to place my garden arch. Knowing all this gave me the confidence to order roses for the arch and begin thinking about what plants and veg were going where. I’ve also kept a lot of the features I’m planning in pencil since it gives me the flexibility to change things if needed. If you’re in the same shoes as me, I would highly recommend you follow the same steps. 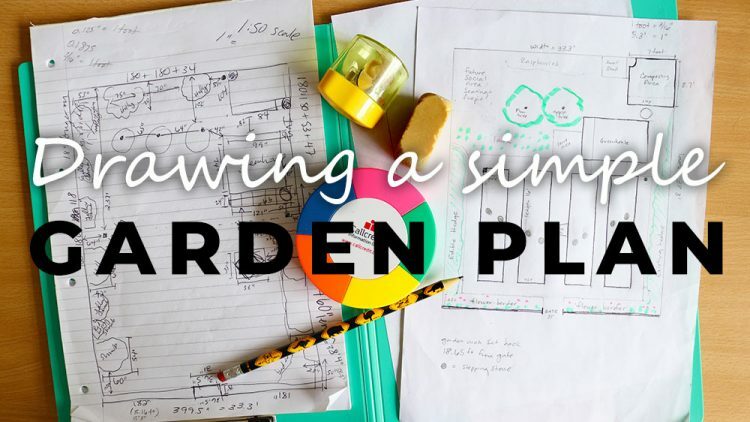 I hope that my little exercise in amateur garden design will help you create a no-fuss simple garden plan for yourself.